The Novafusion Color care range is formulated to work in synergy with your hair color to control and prevent color fade in natural and color enhanced hair types. In keeping with the De Lorenzo philosophy, Novafusion Color Care Range has been specifically formulated using a combination of both paraben free preservation and a sulfate free cleansing system that is derived from coconut fatty acids. The Novafusion range utilizes key natural ingredients, such as kakadu plum, rooibos, willowbark and hawthorne, to rejuvenate hair. 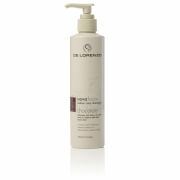 De Lorenzo Nova Fusion Natural Tones Shampoo is perfect for use on blonde and brunette hair. This great shampoo gives depth to blonde locks and intensifies brown hair colors. Formulated to contain UV inhibitors for color enhancement. Designed to control fading of color and take away brassy tones in hair. rinse your hair thoroughly and follow up with Color Care Conditioner.